Kell is a rare mage who can travel between worlds, the adopted son of the King and Queen of Red London. It is Kell’s job to travel to the other worlds on royal business. 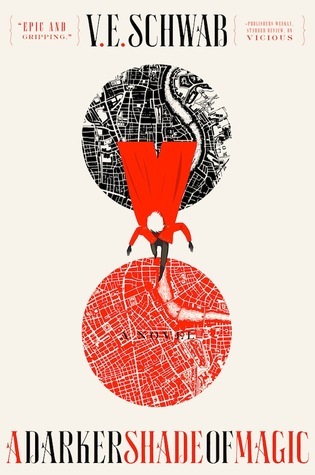 Red London is a world where magic permeates everything. White London is ruled by those who can wrestle magic to do their bidding. Grey London is a land without magic at all. And Black London? Black London is a place that no one travels to, and no one speaks about. When the story opens, Kell is visiting mad King George in Grey London. As he travels back to Red London, we learn that Kell has a hobby: he smuggles items from one London to another for the right price. This hobby soon lands him in big trouble, and he is charged with treason in Red London. When he flees to Grey London, he finds himself entangled in the life of one Delilah Bard, a pickpocket whose middle name is clearly trouble. And trouble finds them, for they are again forced to flee from a dangerous enemy. It will take all of Kell’s skill in traveling between worlds as well as Lila’s scrappy street smarts to keep them both alive. I really can’t tell you how awesome this book is. The world is unique, with its four very different Londons. Kell is a fascinating character, at once both naive and wise beyond his years. Lila is keenly intelligent, loves adventure, and yet she has failed at every turn to change her life for the better until she meets Kell. And Kell’s enemies! All I can say is they are true villians, unlike many stories where the bad guy is only misunderstood. 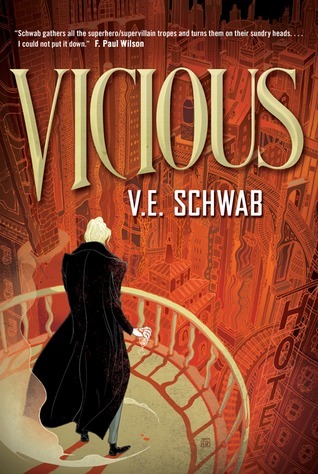 I really hope this is the start of a series, as I adored this book. Amazing storytelling. Simply splendid!